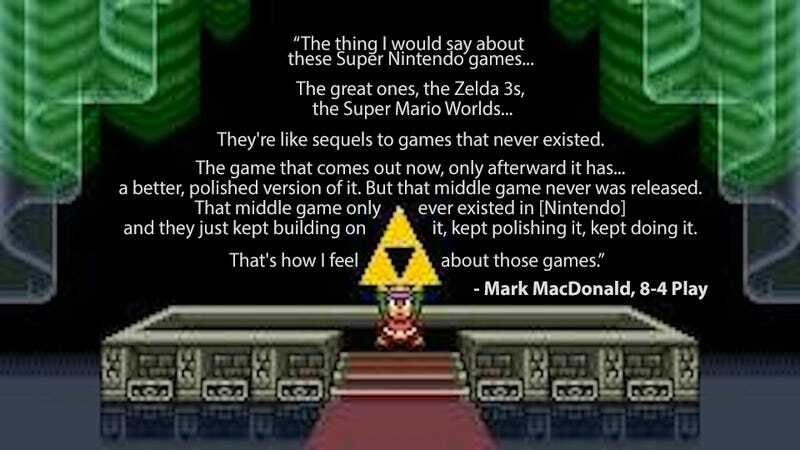 The above quote, from Mark MacDonald, of the Tokyo-based game localization company 8-4, sums up what felt so special about the best games on the SNES. It rings true for all-time greats such as Super Mario World and The Legend of Zelda: A Link To The Past, which emerged within a year of the system's release with an amount of polish generally unseen on a system's early games. Technically they were sequels, but they still feel like they skipped a game, the way we might feel today if we got Halo 3 next after Halo 1.